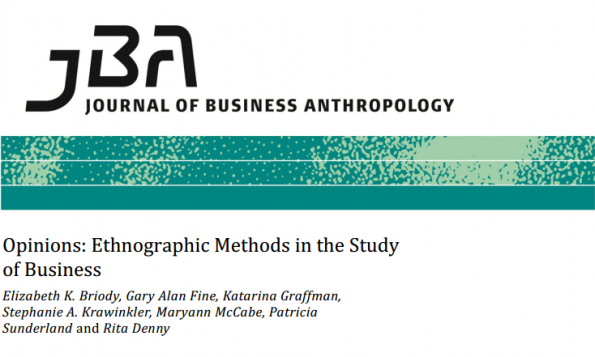 In the latest issue of Journal of Business Anthropology, Volume 2, Issue 2 (2013), I’ve written a short piece about being a “business anthropologist”. Grant McCracken suggests that every company in the future will need a chief culture officer, someone who carries the anthropological way of thinking into the heart of the company and makes it part of its strategic thinking. Maybe this is not imminent, but hopefully anthropological knowledge and theories will in the future be regarded as of strategic importance for business rather than merely another tool for market research. Anthropology matters as it can make a difference when judging how matters matter to man. Download the article here.